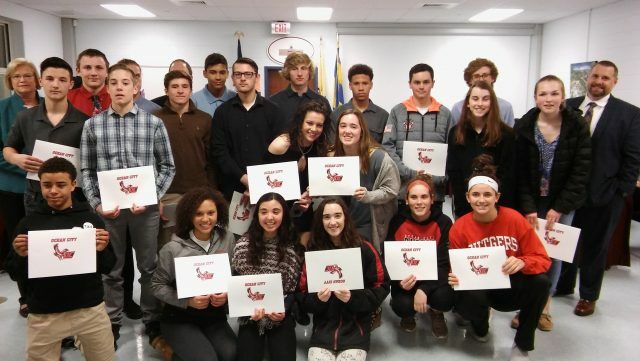 Ocean City School District winter sports athletes are honored at the school board meeting Monday night. Schools Superintendent Kathleen Taylor and Athletic Director Vince Leavey are also pictured. Ocean City School District Athletic Director Vince Leavey said he wants the community to know that even if you don’t get to see some of the games, meets or matches, athletes in winter sports have a long season, travel to a lot of games and give it their all. That is why he, coaches and members of the Board of Education, honored the student athletes during a board meeting Monday night. Students and their parents packed the community room at the high school to recognize their hard work this winter sports season in basketball, wrestling, swimming, diving and winter track. Schools Superintendent Kathleen Taylor thanked the students for their efforts and told the audience that there are many ways the athletes showed they believe in themselves and their teams. She went on to say that the athletes are incredibly talented and show true fortitude and belief in what they do, which is how they accomplish their goals. Leavey echoed Taylor’s sentiment. He called the different teams up and gave examples of how well they finished out their seasons. Leavey also thanked the coaches and the parents who are so supportive to the athletes during a very long season. He said one of the highlights of the season was instituting a Student Athlete of the Week. Each week two athletes were recognized for their efforts. Some athletes went above and beyond. Melissa Kampf – girls swimming and Christopher Bailey – winter track, each received the Scholar-Athlete Award for excelling both academically and in their sport. Amanda Schmid and Nicholas Oteri, both on winter track, received the Community Service Athlete Award. 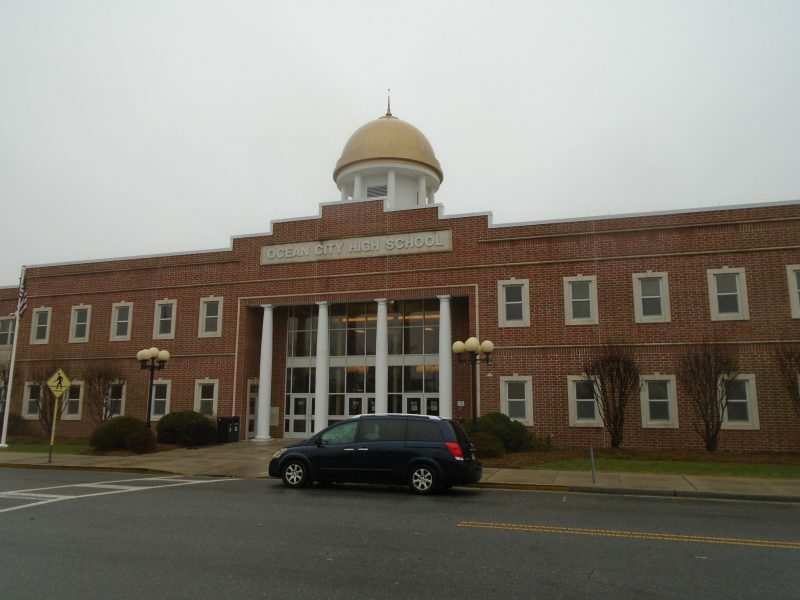 For more information visit www.oceancityschools.org.